Have you wanted to begin meditating daily for a long time, but you just haven’t gotten around to getting started yet? The morning is the perfect time to engage in such a calming, stress relieving activity. Here are steps you can take to finally make meditation part of your morning routine. Before you begin any new habit, it is extremely important that you have an end goal, or reason why you are embarking on this brand new journey. Having a driving force behind doing something new makes you much more likely to actually start and keeps you motivated even when you don’t “feel” like continuing. Setting a goal before you start meditating is just a way to help you determine why you, personally, want to add this kind of ritual to your life. What do you really want to accomplish in making meditation an important part of starting each day? Do you want to reduce stress? Get a better handle on your thoughts and emotions? Do you need a dedicated time and place just to sit in silence, think and exist in the present before you begin an overwhelmingly busy day? Your goal or goals will help motivate you not only to get started, but also to continue day after day. Before you can start your daily meditation ritual, you need to make sure you have an open block of time in your schedule where you can fit in your meditation every day. There is no point in trying to start something new if you do not already have time blocked out to fit it in. Even before you are completely ready to start meditating, clear a specific block of time in your morning schedule – ten minutes; a half hour; however much time you think you might need – and reserve that time for meditation only. When you are ready to start, you will already have that time scheduled out for that very purpose. It’s much harder to make excuses for why you can’t do something when you have already set aside the time. Some experts warn people with sleeping problems not to do any activity while laying in bed that does not involve sleeping. The idea behind this is that the mind eventually begins to associate your bed with sleep. You may even start to feel tired when you enter your bedroom because your brain knows you are about to try and sleep. You can apply this same principle to meditation. If you are stressed, it may not be the best idea to meditate in a place where you need to be alert and on point. 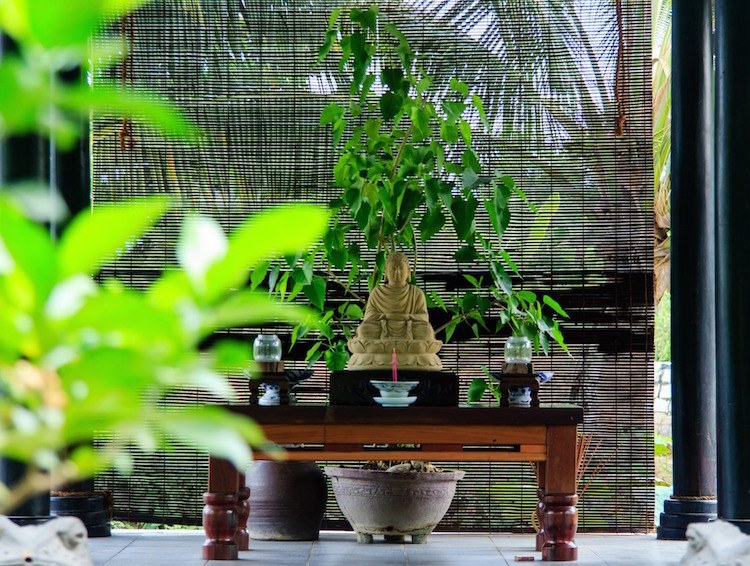 Choose a spot in your house – a room or general area – where you can go whenever it’s time to meditate. Let your mind come to associate that space with meditation, so that when you go there, your brain and body are both ready to engage. There is more than one type of meditation, and every individual who meditates might have different preferences, or may even perform one type of meditation a little differently to suit their personal needs. Before you start meditating every morning, spend some time looking into the different kinds of meditation that are out there to get a good idea of where you want to begin. This will help get you off to a solid start and makes it more likely that you will find success in meditating daily. Choose the type of meditation that is best for you, your schedule and your goals. It might depend entirely on what you are trying to accomplish as you meditate every morning. If you are trying to improve your concentration, for example, you might want to engage in a type of focus meditation that involves aligning your attention with a single object. If you’re trying to relax, you might engage in deep breathing, maybe even with some meditation music in the background. Not all forms of meditation require equipment, such as mats, benches or candles, which is why meditation can be such a good starting point for people who want to reduce their stress levels and get a handle on their emotional and mental health. But there are plenty of accessories available if you do want to “decorate” your meditation space, and they can actually be good for your knees and back. Check out online reviews of various products to figure out if there are any accessories or other items you want to add to your dedicated meditation space. There is really no right or wrong when it comes to meditation accessories. Whatever you need to motivate you to keep up your ritual and not let it fall to the bottom of your priority list. Starting small is important when adding something new into your routine. The last thing you want is to jump into something without taking the time to get used to it. You wouldn’t just stop eating chocolate completely if you wanted to cut back on eating added sugar. You would try to eat fewer chocolate bars than usual (ideally). It’s the same idea with adding meditation into your routine. Get started by doing it for only about five minutes at a time, and increase your intervals from there. If you want to make meditation a part of your daily morning routine, take steps to learn how to make meditation an everyday habit. It takes anywhere from a few weeks to a month or so to turn a new activity into a habit you can actually stick with. Meditation only works if you start, and then make the commitment to keep going … and actually follow through on that promise. If you really want to do it, you can do it. Get it into your morning schedule and start as soon as possible.